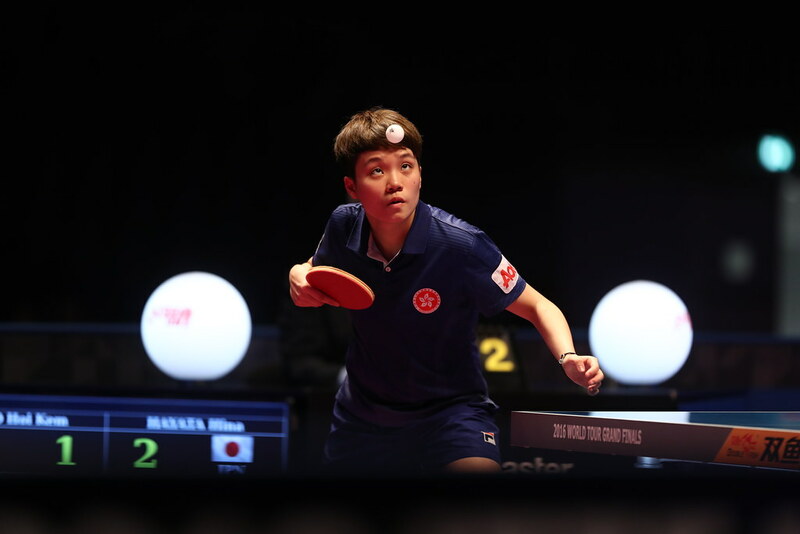 Chinese Taipei’s representative at the Nanjing 2014 Youth Olympic Games but absent from the international scene for almost two years, since reappearing two weeks ago in China; Chiu Ssu-Hua emerged the player to cause the one upset as matters progressed in the Under 21 Women’s Singles event at the Seamaster 2017 ITTF World Tour Platinum Australia Open in Gold Coast on the late morning of Sunday 2nd July. Neither player required to compete in the opening round; no current world ranking, Chiu Ssu-Hua beat Japan’s Miyu Maeda, the no.4 seed, in three straight games (11-7, 11-6, 11-9). Excelling close to the table, using long pimpled rubber on the backhand, at the Nanjing 2014 Youth Olympic Games, Chiu Ssu-Hua reached the quarter-final stage of the Women’s Singles event, losing to China’s Liu Gaoyang, the champion elect, in a tense six games contest. 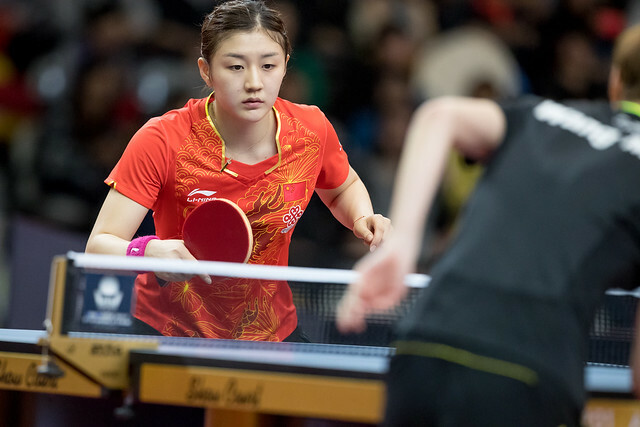 Similarly, at the recent Seamaster 2017 ITTF World Tour Platinum China Open in Chengdu, Chen Ssu-Yu stretched Hong Kong’s vastly experienced Jiang Huajun to seven games in the Women’s Singles preliminary stage. Furthermore, in the past she has caused Miyu Maeda problems; after experiencing defeat at the Nikon 2013 Hong Kong Junior and Cadet Open, she beat Miyu Maeda in the Under 21 Women’s Singles event at the GAC Group 2015 ITTF World Tour China Open. A somewhat surprise defeat for Miyu Maeda but there were no further upsets in the second round of the Under 21 Women’s Singles event; the top three names emerging successful. However, for Korea’s Choi Hyojoo, the top seed, life was difficult. She needed the full five games to beat Chinese Taipei’s Li Yu-Jhun (11-5, 10-12, 9-11, 11-8, 11-7). Testing times for Choi Hyojoo, for the next two names in the order of merit, there were no moments of drama as Australian hopes suffered. Japan’s Saki Shibata Rebekah Stanley (11-3, 11-5, 11-1); Maki Shiomi defeated Parleen Kaur (11-3, 11-4, 11-4). Defeats for the host nation but one player did book a last eight place; Wu Jiamuwa, the no.8 seed, overcame colleague, Sarah Tan (11-8, 11-4, 11-7). At the quarter-final stage, Choi Hyojoo meets Charlotte Carey of Wales, the no.7 seed; Maki Shiomi confronts Chinese Taipei’s Feng Sih-Han, the no.6 seed. Meanwhile in the lower half of the draw, Chiu Ssu-Hua opposes Singapore’s Lin Ye, the no.5 seed, Saki Shibata plays Wu Jiamuwa. The matches in the round of the last eight are scheduled for later in the day.